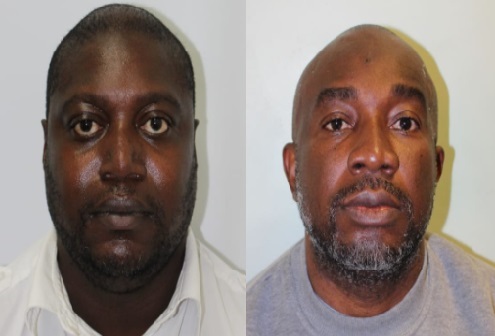 Two Nigerian men who were part of an organised fraud network, conning amateur sports clubs and small businesses out of over £300,000, have been jailed for more than six years. The men defrauded their victims - including amateur football clubs, village halls and solicitors firms - by sending them emails purporting to be from an individual affiliated to their organisation, such as the treasurer or financial director. The email would ask them to transfer a sum of money and the recipient, believing the email to be genuine, would pay the sum into an account run by the fraudsters. Okwudili Chinze, 44, a Nigerian national of no fixed abode had previously pleaded guilty to conspiracy to commit fraud by false representation and money laundering. On Friday, 17 November at Kingston Crown Court, he was sentenced to two years and eight months' imprisonment for conspiracy to commit fraud, and fifteen months for money laundering, to run concurrently. Ahmed Otun, 41, a Nigerian national of Walfrey Gardens, Dagenham, was found guilty of conspiracy to commit fraud by false representation and money laundering. He was jailed on 17 November for four years for conspiracy to commit fraud and 22 months for money laundering, to run concurrently. Both men were disqualified from directorships for ten years. When the various frauds came to light, officers from FALCON, the Met's response to fraud and linked crime online, launched an investigation. The offences were linked and detectives discovered that the men had set up a company named Britannia Security, a vehicle used to give a veneer of legitimacy to the fraud. Its bank account was used to receive the majority of the defrauded funds. On arrest, a variety of manuals detailing how to hack into emails were found on Otun's computer.